Nobody thinks we work for a living. I base this on conversations with friends and neighbors, who seem to believe that crime writers basically sit around the house in their underwear all day, munching on snack food while thinking of creative ways to kill people. And it’s totally inaccurate. I, for one, almost always wear pants. But, seriously, I’d submit that one of the most important – if underappreciated – attributes a writer can have is, quite simply, a blue-collar, working-stiff kind of stubbornness. Not talent (though it helps). Not genius (that helps, too). But steel-city toughness. It’s about sitting down and writing when you’d really rather be giving yourself paper cuts. It’s about having the perseverance to work and rework a scene, a paragraph, or even a single sentence dozens of times. It’s about banging your head against the computer screen repeatedly until you either pass out or get it right. It’s about ignoring rejection letters from agents and publishers and having the will to stick with it. And that’s good news for all the folks out there harboring the dream of becoming an author. Because none of what I’ve just described is some gift from the heavens, bestowed on a select few. It’s something that just about anyone with a reasonable grasp of the English language can achieve. Even a dumb former sportswriter like me. If you’ll forgive a self-serving anecdote, I often think of a time when my wife was in graduate school, studying to be a school psychologist. Part of her program was learning how to administer intelligence tests and I was her test dummy (and I do mean dummy). There was one test where you were timed on how quickly you could complete a series of problems. You got full credit for doing a problem within a minute and partial credit for doing it in two minutes. You got no credit for anything beyond two minutes. But – and this was the catch – my wife wasn’t allowed to tell me that, nor could she tell me to stop working and move onto the next question. I did the first couple questions in the allotted time, but really started struggling as the tasks got more complex. By the last question – the hardest – my poor wife had to sit there for 25 minutes until I finally worked it out, even though the final 23 minutes were a total waste of her time. But, see, that’s what’s great about this business: No one can tell you when to stop working, and you still get full credit no matter how long it takes you. So you don’t necessarily have to be the smartest guy in the room. You just have to be tenacious. I’m certainly thankful that’s the case. 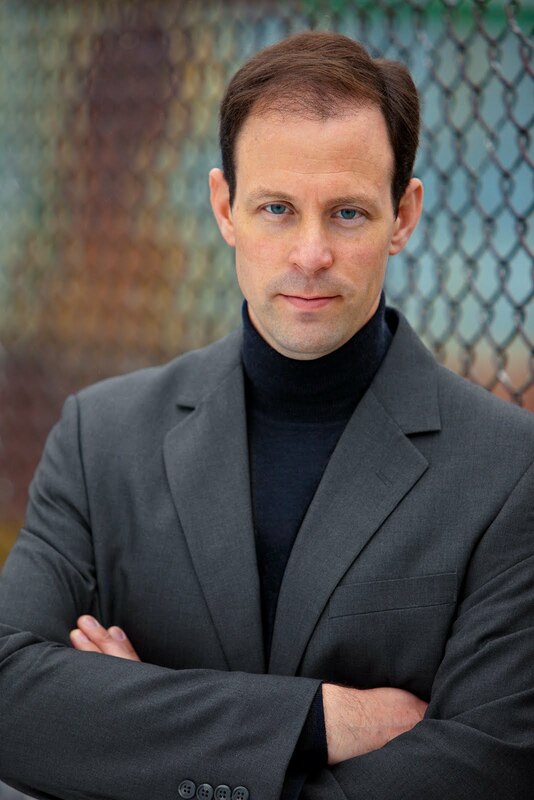 I was a career journalist – first in sports, then in news – who started writing fiction nine years ago. And for a long time all I had to show for it was a pile of manuscript pages and some polite-but-firm rejection letters. Now – alert: more self-serving stuff on the way – I’m celebrating the release of my debut, FACES OF THE GONE. It’s a monument to determination as much as anything, and I don’t pretend I’m alone among authors in feeling that way. If there’s a common theme among the many wonderful writers I’ve met over the last year, it’s simply that they kept writing until they got published. They worked at it, and they worked hard. Because this really is hard work – or at least it is if you’re doing it right. Now, if you’ll excuse me, I’ve got to go munch on snack food. 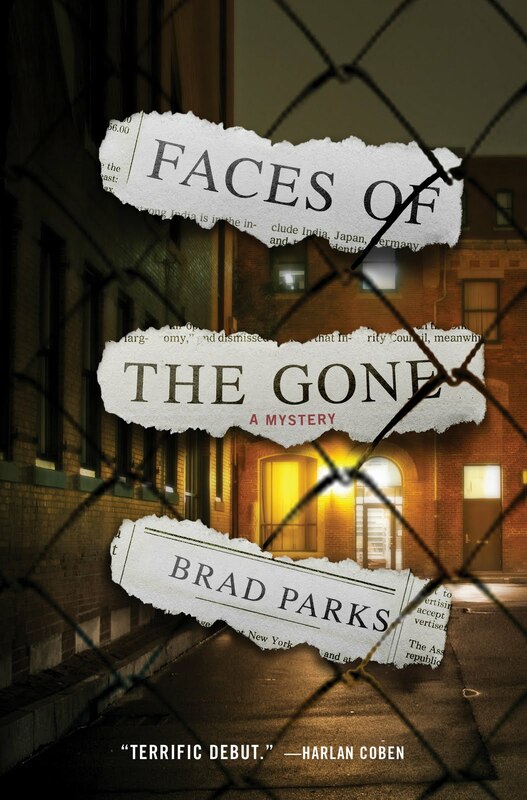 To learn more about Brad Parks or FACES OF THE GONE, visit www.BradParksBooks.com. To be pelted with monthly fits of nonsense from his small army of underpaid interns, sign up for his newsletter (http://www.bradparksbooks.com/fan-club.php). To be subjected to such drivel on a more regular basis, become a fan of the Brad Parks Books on Facebook (http://www.facebook.com/pages/Brad-Parks-Books/137190195628#) or follow him on Twitter (www.twitter.com/Brad_Parks). Welcome to the Working Stiffs, Brad. I love tales of when tenacity wins out. Some days it's only my hard-headed determination that keeps me going. Perseverance should have been my middle name. Hey Brad. Glad to have you on the Stiffs. After last week and this, I can tell you without a doubt that you, sir, have hit the nail on the proverbial head. Some people confuse perseverence with stubborness and keep submitting the same thing over and over. Those people need to read your words closely. Nice ode to the good old work ethic. Brad, out of curiosity, do you think your training as a journalist helps you to complete a project? I mean, as a reporter, it's not like you could quit halfway when a story wasn't working. Hey Everyone! Thanks for the kind welcomes. Wilfred you make a very important point: It's critical that you can take a manuscript you have absolutely bled over, realize it just wasn't quite good enough, stuff it in a drawer, and start another one. I had to do it, and I'm guessing you did, too, yes? Ramona -- I would say journalism definitely helped build the writing muscle, inasmuch as it forced me to write a lot and sometimes under very tight deadline. But I've found journalists struggle just as much -- if not more -- as everyone else when it comes to completing a manuscript. Because most articles you write are ostensibly a sprint as compared to the marathon of finishing a book. Even the longest articles I ever wrote (4,000 words or so) would be, what, a little more than 5 percent of a novel? So journalists are notorious for having the half-written novel in their drawer. What helped me was when I dedicated myself to becoming a 1,000-word-a-day guy, because that was a unit of measurement I could understand. I mean, 1,000 words... that was basically like a normal article, plus a little padding. I could do that, right? Then it was just having the faith that if I did that 90 days in a row -- and that's how I do my manuscripts now, writing EVERY DAY until I'm done -- I would have a completed work in relatively short time. Actually, no. But, I rewrote the first one 15 times before it got published. I had a story that I totally believed in. I just had to learn how to write it. Thanks, Brad, that does help. I like the 1,00 words a day goal. Thanks, Brad, you give me hope. I've been a freelancer so long I lack discipline, but hearing about your and Sophie's determination and success is inspiring. I already have cute underpants so I've got the first step out of the way. Coincidentally, I was also a test dummy in college and scored somewhere just above ferret in intelligence. Welcome Brad! Thanks for your. Came at a great time for me. Yes, that is a dent you see in my forehead from beating it up against the monitor. PCN -- Never underestimate the power of cute underpants. Pat -- Good luck! And never underestimate the power of something else journalists can do: Churn out lots of clean copy quickly. You wouldn't necessarily think that's an asset in publishing, where everything moves at such a glacial pace as compared to a daily newspaper. But these days, when editors have so little time to actually edit, being the person who can write stuff that doesn't require a lot of line editing confers a huge advantage. Now hitch yourselves to the 1,000-word-a-day wagon and let it carry you to publication!